This gorgeous necklace is perfect for every day wear and also it will make a perfect gift for your loved one. 14K Yellow Gold pendant measures 8mm x 18mm and comes with an 18 inch cable chain. 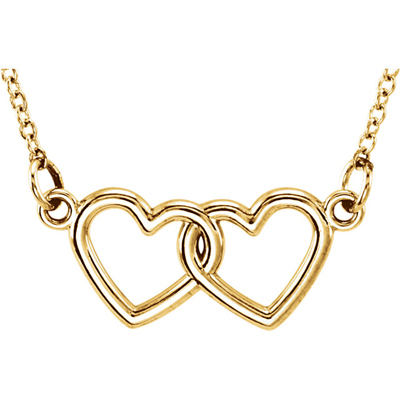 We guarantee our 14K Yellow Gold Double Heart Necklace to be high quality, authentic jewelry, as described above.